Last week I blogged about attending the 2015 Writer’s Digest Conference in New York City. I met so many fantastic agents, editors, and writers there, some of whom I hope will be contacts for years to come. One of the most astounding connections I made was with author Kristen Harnisch, who lectured at a session called “The New Model of Publishing: Combining Traditional and Partner Publishing For Success”. 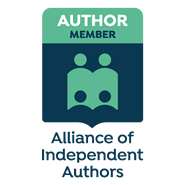 As a self-published author who is interested in one day publishing traditionally, I was naturally excited about her session, co-hosted by her agent April Eberhardt, who is one of the few agents working today willing to represent self-published authors. Within the first few minutes of the session, I realized that Kristen and I had a lot to talk about, as her debut novel The Vintner’s Daughter featured a French female winemaker working in California at the turn of the 20th century. Many of my friends and readers know that every year I disappear from the internet as I get sucked into the vortex that is the grape harvest – that all-important time of year when we turn grapes into wine. (Which is coming up, in case you were wondering. See you all in November!) As a female winemaker who has worked in both France and California, and also as an ardent lover of history, I knew I was going to love her novel. Kristen did a book signing immediately after her session, and of course, the first thing I did was run down, buy her book, and strike up a conversation at the signing table. I had to wait until my Wednesday flight out of the city to crack the book open, but let me tell you: it was worth the wait. The Vintner’s Daughter is the story of Sara Thibault, the youngest daughter of a prominent winemaker in the Loire Valley in France. But when her father dies in a tragic accident and the fate of the family winery falls outside Sara’s control, she and her sister Lydia are forced to seek other means of survival. A devastating incident with one of their creditors forces both girls to flee their home and country – and where else to run but to America? Across the pond in New York City, Sara once again finds herself inevitably drawn back to the world of wine. Haunted by her dreams of becoming a master winemaker in the Loire, she follows the wine trail (much as this young writer/winemaker once did…) out to Napa Valley, where several Frenchmen are just beginning to discover California’s potential as a grape-growing region. There, Sara finds solace in reclaiming her heritage and true calling. And in the figure of handsome, ambitious Philippe Lemieux, she might finally find someone who understands and matches her passion for the craft. In Sara I saw so much of myself. She is a headstrong young woman determined to do something – and do it excellently – that women are often told is out of our reach. Sara’s struggles mimicked my own: the desire to be taken seriously, the need to perform feats of physical strength often considered to be the reserve of men, the desire to work independently and be considered an equal in a field that is largely male-dominated. Of course, Sara’s struggle – and mine – is by no means restricted to the wine profession. It’s a microcosm of the war that women around the globe have been waging for centuries. Harnisch references this large- and small-scale struggle, documenting the ways historical figures such as Susan B. Anthony influenced women in the Bay area, and featuring a character who is an activist in the campaign for suffrage. In the backdrop of Sara Thibault’s story is the fight for women’s suffrage, the right of a woman to protect herself against domestic violence, and the rights of women to care for their own children even in cases of divorce or physical abuse. Sara’s fight for autonomy over her winemaking is emblematic of the fight for women’s liberation on a grand scale, and Harnisch toggles back and forth between the two effortlessly. In the historical details, the book was beautifully done. From rural France to industrial New York City out to the golden hills of California wine country, the setting of time and place was impeccable. I even learned something about historical winemaking methods. It turns out that, although I know quite a bit about wine production in the 21st century, I didn’t really know all that much about how it was made in the late 19th. Transported via carriage, boat, and train from France to California, I felt as though I was riding along with Sara through every step of her – often heartbreaking – journey to reclaim her identity. Readers of my blog will know I’m no great fan of romance, but I can say assuredly that in no place does the love story here venture into the trite or the cliche, nor does Harnisch compromise Sara’s independence. From start to finish she is an admirable protagonist, both in her strengths and in her flaws, and I’ll freely admit I fell a little bit in love with Philippe Lemieux as well. I can’t wait to read the next installment in Sara’s winemaking journey. Whether you like wine, historical fiction, romance, or just well-told stories, you’ll find a wonderful companion in The Vintner’s Daughter. Highly recommended. Thank you, Kristen, for such a wonderful read!